Result: Screening Test for the post of Junior Engineer(Civil) under Public Health Engineering Department dated 29-04-2018. 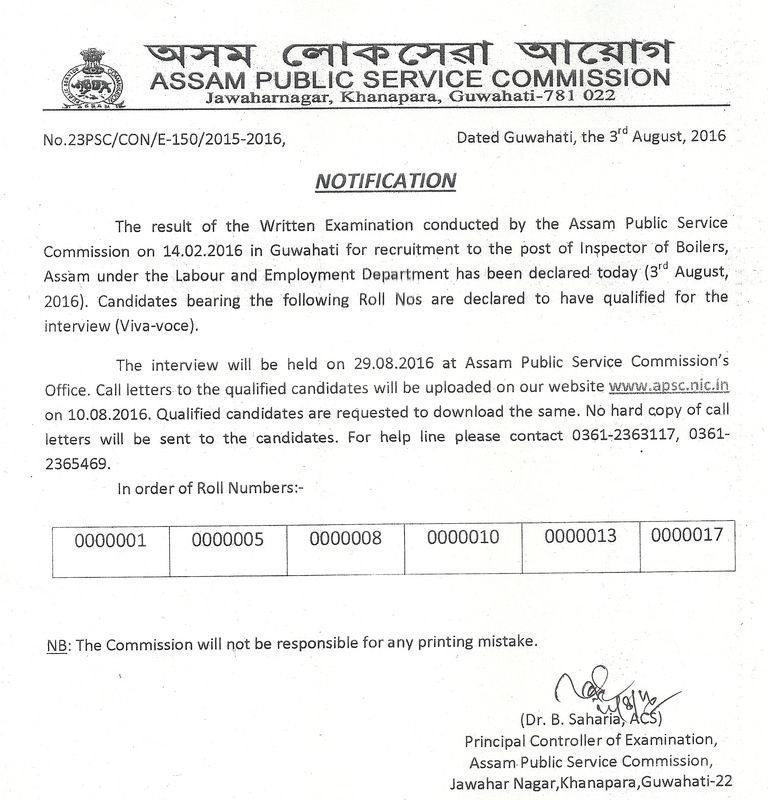 Result: Screening Test for the post of Deputy Director/Inspector of Schools/District Elementary Education Officer under Assam Education Service. Result: Asstt. Manager/Superintendent of Industries/Asstt. Industries Officer etc. under Industries & Commerce Department. Result of Screening Test for the Post of Asstt. Engineer (IT) under P.H.E. Deptt. Result of Screening Test for the Post of B.D.O. under Panchayat and Rural Development Deptt. 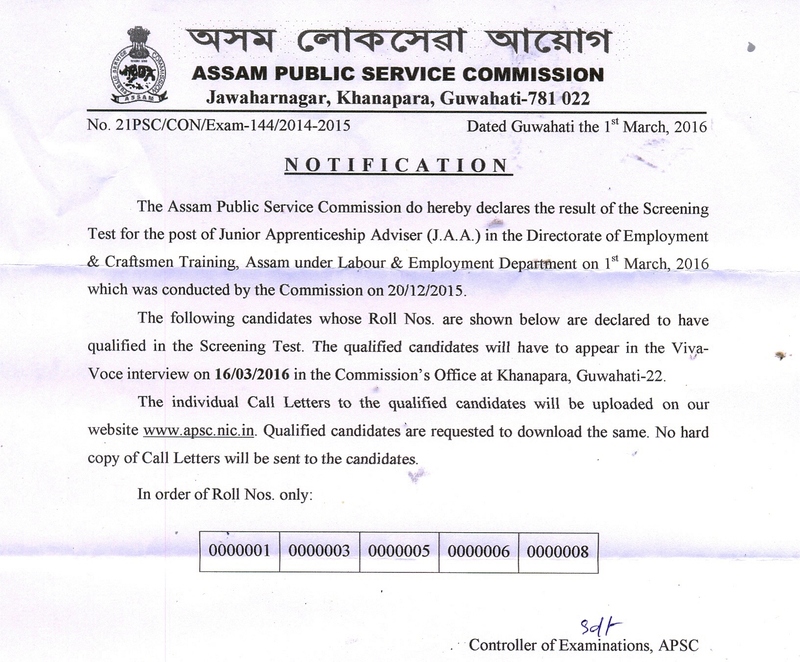 Result of Screening Test for the Post of Programmer & Asstt. Programmer in the office of the APSC. 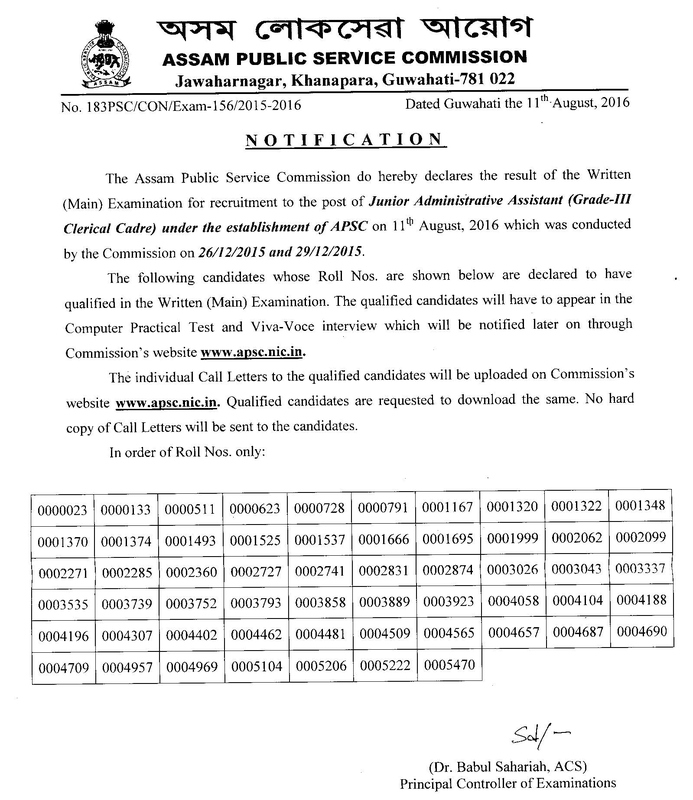 Result of Screening Test for the Post of Inspector of Schools/DEEO/Deputy Director under Assam Education Service. Result of Screening Test for the Post of Inspector of Legal Metrology under Food, Civil Supplies & Consumer Affairs Deptt.